Thermo-mouldable nylon shell allows for shell contour customisation if required. 4-degree rearfoot posting for greater control. Heel cup provides additional stability. Exposed bottom shell enables easy adjustments to be made. Low profile design allows them to fit comfortably in different shoe types. Leatherette cover offers a premium finish and can be wiped clean. EVA & Neoprene through the heel & arch, and Neoprene throughout the forefoot. Heel cup provides additional control. 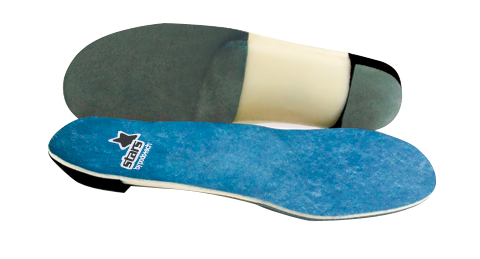 Suede base helps maintain position of the orthotic within the shoe.